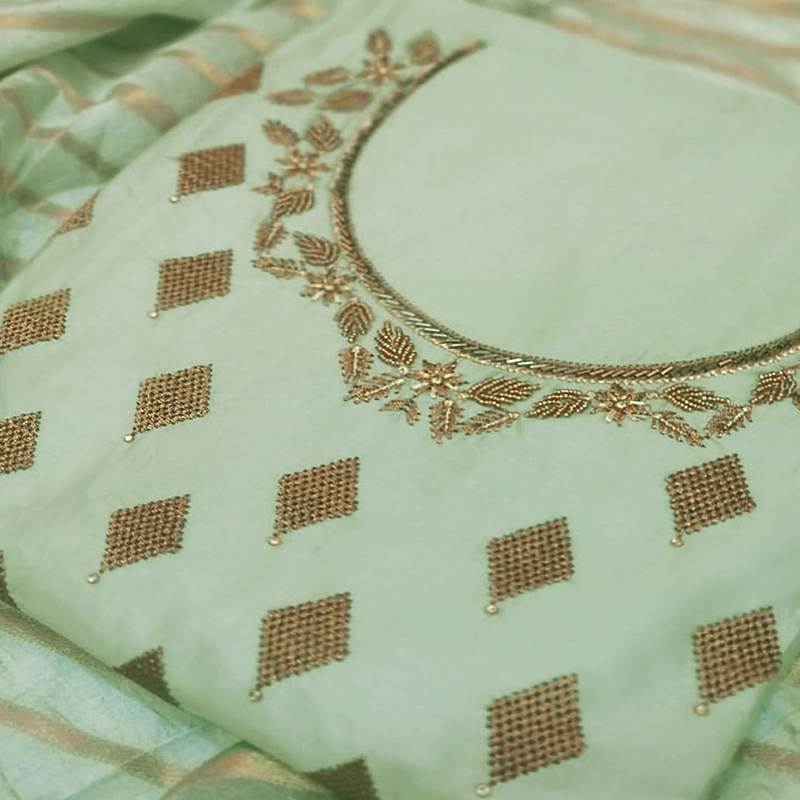 Be an angel and create a smashing impact on everyone by wearing this jazzy pastel aqua green colored dress material which has been designed using heavy jam cotton fabric and enriched with beautiful embroidered work. 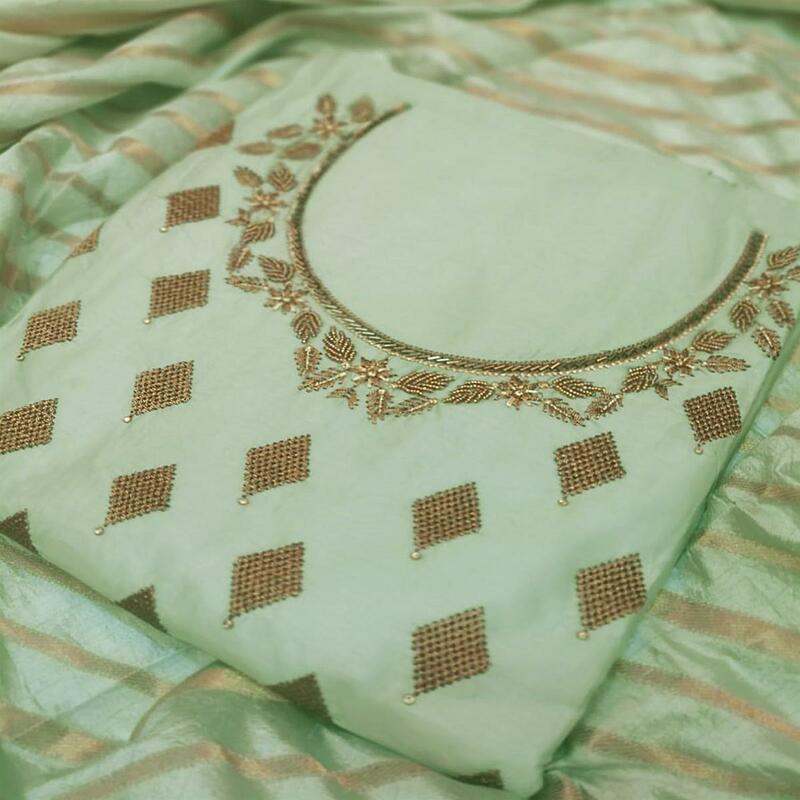 This suit comes along with heavy cotton bottom and lining and fancy jacquard banarasi silk dupatta. Grab this suit and get it stitched in to churidar, salwar or pant style suit according to your fit and comfort. Ideal for festivals, functions, casual outing, parties and social get together. Team this with a pair of matching earrings and heels for the perfect look. Get this dress now before it's gone out of stock. Note:- The actual product may differ slightly in color and design from the one illustrated in the images.